Clinical Microbiology 2017 is a premier forum to evaluate latest innovations in the field of Clinical Microbiology and Microbial Genomics. Clinical Microbiology-2017 graciously solicits the presence of presenters, speakers, students, and exhibitors from all over the world to Chicago, Illinois, USA on September 25th-26th, 2017. The global clinical microbiology market is envisaged to reach USD 5.77 Billion by 2021 from USD 3.35 Billion in 2016, growing at a CAGR of 11.5% from 2016 to 2021. The clinical microbiology market is on surge due to increase in technological advancements, persavasiveness of pathogenic diseases, increasing extent of infectious diseases, growth in the adaption of microbes to various antibiotics, rise in mutations, epidemic outbreaks, growing awareness and increase in expenditure in health care and the immediate need for faster microbiological testing methods. The global market for drug discovery technologies reached nearly $39.5 billion and $46.5 billion in 2013 and 2014, respectively. This market is expected to grow at a compound annual growth rate (CAGR) of 11.3% to nearly $79.5 billion for the period 2014-2019. The global inpatient and outpatient pharmacy automation market has grown to nearly $3.8 billion in 2016 from $3.5 billion in 2015. The market is expected to grow at a five-year compound annual growth rate (CAGR) of 7.9% from 2016 to 2021, increasing to $5.5 billion in 2021. The consumables, equipment and technology markets in the microbiology industry totaled nearly $7.7 billion in 2012. This total is expected to grow from $8.5 billion in 2013 to $11.4 billion in 2018, with a compound annual growth rate (CAGR) of 6.1% for the five-year period, 2013 to 2018. After the success of Clinical Microbiology 2012- 2015 , Conferenceseries is glad to announce 7th Annual conference on Clinical Microbiology (Annual Clinical Microbiology-2017) during September 25th-26th, 2017 at Chicago, Illinois, USA. 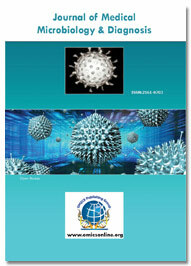 Conferenceseries organises 300 International Conferences Every Year across globe with support from 1000 more scientific societies and Publishes 500+ Open access journals which contains over 50000 eminent personalities, 50,000 reputed scientists as editorial board members and 5 million readers. This meeting will focus in particular on the current research on the laboratory diagnosis of infections and outbreaks, and the primary role of the laboratory in the management of infectious disease outbreaks and the epidemiology of infections. Clinical Microbiology-2017 is a premier forum to analyse recent innovations and challenges in the field of Clinical Microbiology. Clinical Microbiology-2017 welcomes students, speakers, presenters, and exhibitors from across the world to Chicago, Illinoois, USA on September 25th-26th, 2017.Clinical microbiology and infections are a threat to most of laboratories or hospitals and they mostly deal with the prevention, diagnosis and treatment of pathogenic diseases caused by microorganisms. Medical microbiology can also be integrated into Clinical Microbiology as a science of studying various clinical applications of microbes for the improvement of health. Microbial diseases caused by pathogens may be exogenous or endogenous. In microbiology laboratory, cultures are the primary method used for isolating infectious diseases for study in the laboratory. Tissue or fluid samples are tested for the presence of a specific pathogen, which is determined by growth in a selective or differential medium. Microbial diagnosis involves microbial culture, microscopy, biochemical tests and genotyping. Other less common techniques (such as X-rays, CAT scans, PET scans or NMR) are sometimes used to produce images of internal abnormalities resulting from the growth of an infectious agent. Infectious disease once has been diagnosed and identified; suitable treatment options must be assessed by the physician and consulting medical microbiologists. Clinical Infectious diseases treated with anti- bacterial (often called antibiotics) whereas fungal and viral infections are treated with antifungals and antivirals respectively. A broad class of drugs known as anti-parasitic are used to treat parasitic diseases. Clinical infections can be treated and treatments can be developed from microbes, as demonstrated by Alexander Fleming's discovery of penicillin as well as the development of new antibiotics from the bacterial genus Streptomyces among many others. Clinical Microbiology-2017 invites pioneer speakers, students and exhibitors from across the world to attend and register for the “7th Annual Clinical Microbiology Conference which is going to be venerated from September 25th-26th, 2017 at Chicago, Illinois, USA. We invite you to accompany us at the 7th Clinical Microbiology-2017, where you are assured to have a substantially worthwhile experience with global scholars. A biofilm is any cluster of microorganisms among that cells persist with one another and sometimes these cells adhere to a surface. These adherent cells unit often embedded among a self-generated matrix of extracellular compound substance (EPS). Biofilm extracellular compound substance, that's additionally same as slime (although not everything delineated as slime is also a biofilm), is also a polymericconglomeration sometimes composed of animate thing polymer, proteins, and polysaccharides. The system is also a convoluted system of collaboration of cells to discriminate antigens, thereby protecting the organisms from infections of assorted classes. Vaccination is taken into account to be one in every of the economical processes in bar of numberless diseases; immunity that's provided because of vaccination is agile for wipeout of the various infections and diseases whereas weakening the results of the many various diseases particularly within the developing countries. There are those vaccines, that ar administered entirely when the patient has contracted a illness. The intent of such immunizations is to trigger a speedy reaction with weakened side-effects and hurt as that of the natural infection. The infective mechanisms of a illness is set in motion by underlying etiological causes, that if controlled would enable the illness to be prevented. Often, a possible etiology is known by medicine observations before a pathological link may be drawn between the cause and so the unwellness. The pathological perspective is also directly integrated into associate degree drugs approach within the knowledge base field of molecular pathological medicine. Molecular pathological drugs will facilitate to assess pathologic process and relation by suggests that of linking a possible etiologic issue to molecular pathologic signatures of a illness. Thus, the molecular pathological epidemiologyparadigm will advance the realm of causative reasoning. Hospital-acquired infection (HAI) — additionally known as nosocomial infection — is associate infection that is narrowed from the setting or staff of a building. it's unfold within the hospital setting, home setting, rehabilitation facility, clinic, or alternative clinical settings. Infection is unfold to the vulnerable patient within the clinical setting by form of suggests that. Health care workers can unfold infection, in addition to contaminated instrumentality, bed linens, or air droplets. The infection can originate from the skin setting, another infected patient, staff that will be infected, or in some cases, the supply of the infection can't be determined. In some cases the being originates from the patient's own skin micro biota, becoming opportunist once surgery or different procedures that compromise the protecting skin barrier. though the patient might have narrowed the infection from their own skin, the infection remains thought of medical building since it develops within the health care setting. Infection control and Hospital epidemiology are pertinent to the general public health practice. Anti-infective agents, like antibiotics are promptly accessible to rout infections. Infection management contains elements relevant to the transmission of infections; either within the hospitals or alternative aid centres, as well as hindrance via hand hygiene, cleansing or disinfection or sanitization, vaccines or surveillance and probe of infections in a health-care domain. Sterilization kills all microorganisms. Sterilizers ar categorised in heat, steam and liquid. disinfection is wiping / killing of the live micro-organisms at room temperatures. ultraviolet illumination (UV Light) is also used to sterilize the rooms of infected/ pre-disposed patients once discharge. The essential issue is that disinfection is less effective than sterilization because disinfection doesn't harm microorganism spores or dominant bacteria. The nascent hazards in any given aid comprises of blood, saliva, alternative body fluids or aerosols that carry infectious agents. The basic lexicon of infectious diseases includes the terms exposure, infection, organisation, and malady, that square measure accustomed describe the clinical states inside that the presence of a organism in a terribly host is suspected or discovered. Therefore, the lexicon is used to articulate associate silent association between a bunch and a microorganism. However, since it's typically tough to use the accessible clinical and diagnostic tools to discriminate the varied ways in which inside which microbes can exist in a terribly host, the lexicon is usually employed in associate ambiguous and general manner. Another issue r to general use of the lexicon is that microorganism factors unit of measurement usually management in command of malady pathological process. This relegates that the host plays in microbial pathologic process to associate exception, that leads to the need for qualification and modification of the language of infectious diseases. Recently, we tend to projected the "damage-response framework" to include the contributions of each the host and also the organism in microorganism pathological process in a very synthesis whereby host hurt was used as a result of the common divisor to explain the end results of the host-microbe relation. 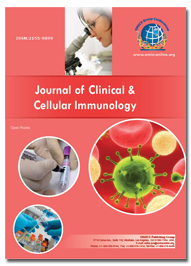 throughout this article, we tend to Illustrate but the applying of the damage-response framework to clinical infectious diseases can clarify and make any precise the language accustomed convey the end results of microbial infection in clinical observe. Identification of a specific agent for a particular infection or a health problem is finished in clinical presentation. Diagnostic biological science laboratory plays a vital role in diagnosing with uninflected of microbiological culture being the primitive approach for isolation of the conducive organism within the laboratory that's that then closely followed by the organic chemistry tests then advanced medical science assays and therefore the ultimate step is the enzyme reactions. 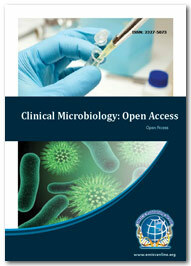 Antimicrobial chemotherapy implements the clinical use of antimicrobial agents in treating infectious disease. The positive conclusion of this antimicrobial medical aid depends on many factors like site of infection, host defence mechanisms and pharmacokinetic and pharmacodynamics activity of the antibacterial drug agent. 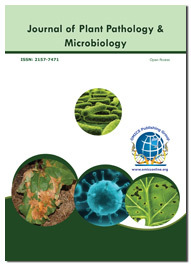 A bactericidal activity depends on the microorganism growth and microorganism division. because the activity of medicine agent depends on its concentration, in vitro characterization of medicine activity generally involves the MIC - minimum repressing concentration and MBC that is that the minimum disinfectant concentration of medicine agent. Antimicrobial agents that treat microorganism infections area unit such as medicine therapy, equally for fungal, microorganism and protozoan infections area unit they're such as antifungal, antiviral and antiprotozoal therapy. Microbial biochemistry covers the principles and importance of microbes, their growth yet as their effects on our surroundings at large and human health specially. 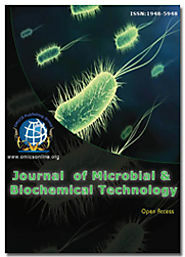 the outline of various layers that enclose the bacterial protoplasm, and their role in getting nutrients from the surface media through totally different permeability mechanism are represented. Fundamentals of the mechanisms by which cells get the energy necessary for their growth, glycolysis, the pentose phosphate pathway, etc. have been given in enough details. data related to epidemiology, bacteriology, sterilization and fermentation technology has also been incorporated for those readers World Health Organization have an interest to gain additional knowledge in there areas. Health science contains of applied sciences, biomedicine, and healthcare. diagnostics methods like aboriginal physical examination, past anamnesis and current medical imaging cover the rudiments of 1st diagnosis of the illness that follow expedited laboratory identification of patient for any serological infectious agents. pathogens in immune hosts. The measure of virulence is that the ability of a microbe to cause disease in any animal, centralized to the Koch’s postulates.